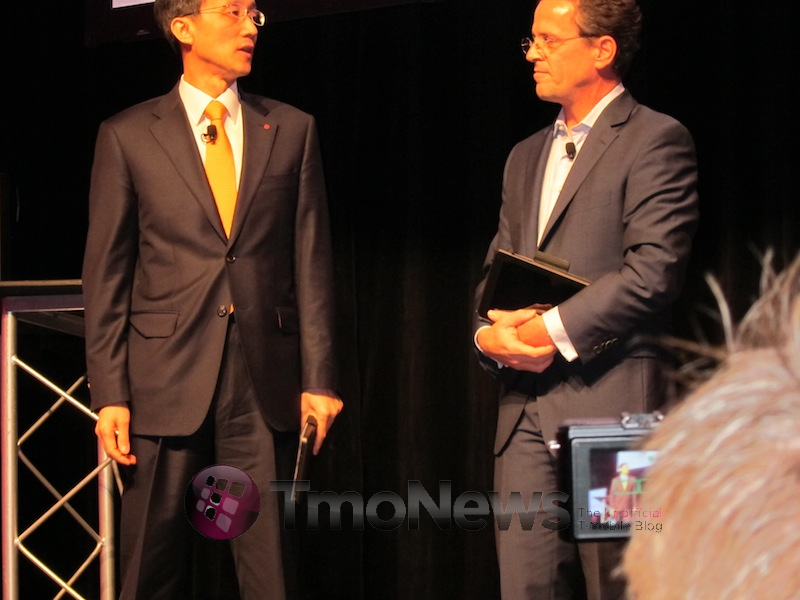 T-Mobile CEO Philip Humm and the CEO of LG met on stage at the T-Mobile CES 2011 Press Event and showed off…the LG G-Slate. Well, more like they held it in their hands and let the “rest of us” wonder what hides behind that black exterior as we snapped away image after image. If you’ve seen the promising albeit lacking preview video, you have an idea of what to expect and these images will serve as a way for your mind to try and put it all together. We’re certainly looking forward to this one and you can bet we’ve already reached out to try and get some real deal images sent our way very soon! ← T-Mobile Previews Their Upcoming 42Mbps HSPA+ Upgrade, With Video! If they enable voice then you can expect to pay more a month for the service. They won’t offer unlimited web + some amount of minutes for $39.99. If this is 7-8in they definitely aren’t getting my money. WOW those 2 clowns look like high school freshmen. Look how awkward they look. This is our tmobile leadership. What a dumb comment. Luckily, Mr. Humm probably does not look at TMoNews comments. If he did he would probably rip David’s CES credentials off his neck and send him packing for leaving your comment up. What an immature SFB assclown you are. So let me get this straight, two high power executives appear jointly to … hold a piece of equipment but not really demonstrate it in any meaningful way? How lame is that?